Transthyretin (TTR) transports the retinol-binding protein–vitamin A complex and is a minor transporter of thyroxine in blood. Its tetrameric structure undergoes rate-limiting dissociation and monomer misfolding, enabling TTR to aggregate or to become amyloidogenic. Mutations in the TTR gene generally destabilize the tetramer and/or accelerate tetramer dissociation, promoting amyloidogenesis. TTR-related amyloidoses are rare, fatal, protein-misfolding disorders, characterized by formation of soluble aggregates of variable structure and tissue deposition of amyloid. The TTR amyloidoses present with a spectrum of manifestations, encompassing progressive neuropathy and/or cardiomyopathy. Until recently, the only accepted treatment to halt progression of hereditary TTR amyloidosis was liver transplantation, which replaces the hepatic source of mutant TTR with the less amyloidogenic wild-type TTR. Tafamidis meglumine is a rationally designed, non-NSAID benzoxazole derivative that binds with high affinity and selectivity to TTR and kinetically stabilizes the tetramer, slowing monomer formation, misfolding, and amyloidogenesis. Tafamidis is the first pharmacotherapy approved to slow the progression of peripheral neurologic impairment in TTR familial amyloid polyneuropathy. Here we describe the mechanism of action of tafamidis and review the clinical data, demonstrating that tafamidis treatment slows neurologic deterioration and preserves nutritional status, as well as quality of life in patients with early-stage Val30Met amyloidosis. The online version of this article (doi: 10.1007/s40120-016-0040-x) contains supplementary material, which is available to authorized users. The transthyretin (TTR)-related amyloidoses are rare, fatal protein misfolding and aggregation disorders. Historically, the TTR amyloidoses were grouped into three categories: (1) wild-type TTR amyloidosis (TTRwt), formerly known as senile systemic amyloidosis, presenting as a cardiomyopathy and involving the aggregation of wild-type (WT) TTR; (2) familial amyloid polyneuropathy (FAP); and (3) hereditary TTR amyloid cardiomyopathy, formerly known as familial amyloid cardiomyopathy (FAC). Both hereditary forms involve aggregation of primarily mutant TTR. Current knowledge suggests that the TTR amyloidoses do not fit neatly into these categories, as patients often exhibit a spectrum of phenotypes depending on mutation, genetic background, and extent of progression. Non-fibrillar aggregates and amyloid composed of mutant and/or WT TTR of hepatic origin accumulate in various tissues and organs, particularly the peripheral and autonomic nerves and heart, leading to tissue damage and end-organ failure [1, 2, 3]. TTR gene expression by the choroid plexus and retinal pigmented epithelium leads to leptomeningeal and ocular degeneration linked to TTR amyloidogenesis, respectively . Tafamidis (2-(3,5-dichloro-phenyl)-benzoxazole-6-carboxylic acid) is a once-daily, orally bioavailable, non-NSAID small molecule, and specific kinetic stabilizer of TTR . In clinical studies, tafamidis slowed peripheral neurologic impairment and additional clinical manifestations in patients with Val30Met amyloidosis and was associated with an excellent safety profile [6, 7, 8]. Tafamidis is the first pharmacotherapy approved to treat TTR-FAP in the European Union and several countries in Latin America and the Asia-Pacific including Argentina and Japan. The aim of this article is to focus on TTR as a drug target, to provide the rationale used in the development of tafamidis, and review comprehensively the pharmacology of this disease-modifying therapy for TTR amyloidoses. This article is based on previously conducted studies and does not involve any new studies of human or animal subjects performed by any of the authors. Transthyretin, also known as prealbumin, is a soluble, β-sheet rich, 127-amino acid, non-glycosylated protein primarily synthesized and secreted into the blood by the liver. TTR circulates in the blood predominantly as a 55 kDa tetramer, along with a very small amount of dissociated monomer . The monomeric subunits of TTR fold into a β-sandwich tertiary structure that spontaneously assembles into a tetramer within the cellular endoplasmic reticulum. The tetramer exhibits two distinct dimer–dimer interfaces, the less stable of which makes up two highly conserved thyroxine (T4) binding sites [9, 10, 11, 12, 13]. The three-dimensional structures of the TTR tetramer bound to T4 and its other known ligand, the vitamin A–retinol-binding protein complex, have been solved [14, 15, 16]. Transthyretin is expressed from embryonic development through adult life and its blood concentration over this time reflects those of total body nitrogen and total body potassium levels . Serum TTR concentration so closely mimics the body’s nitrogen balance that it has been widely used as a marker of malnutrition and inflammation in several conditions [17, 18, 19]. In fact, TTR is a negative acute phase reactant . In adult humans, plasma TTR concentrations range from 3 to 6 μM; the TTR concentration in cerebrospinal fluid is an order of magnitude lower (approximately 0.36 µM) [21, 22, 23]. The half-life of TTR in vivo blood is 24–48 h [22, 24, 25]. In blood, the TTR tetramer binds retinol-binding protein bound to retinol (holo-retinol-binding protein) and a small amount of T4, and transports them to tissues on the minute-to-hour timescale [9, 26, 27]. Although TTR is the only known transporter of circulating holo-retinol-binding protein that facilitates retinol transport, two other proteins, namely, albumin and thyroid binding globulin transport thyroid hormones. Of the three T4 binding proteins, albumin has by far the highest plasma concentration and thyroid binding globulin has the highest affinity for T4 [28, 29]. Thus, given the low level of circulating T4, less than 10% of T4 in blood is bound to TTR and more than 99% of the T4 binding sites in circulating TTR are vacant . Thus, TTR is thought to play only a minor role in the physiological transport of T4. In contrast, TTR is the primary T4 carrier in cerebrospinal fluid . In addition, transthyretin may be a natural detoxifier, as its T4 binding sites bind small molecules with substituted aromatic rings connected by linkers of variable chemical composition . These structures include stilbenes, flavones, benzoxazoles, tetrahydroquinolines, dihydropyridines, benzodiazepines, and phenoxazines [31, 32]. Emerging evidence suggests that WT TTR may also have a protective effect in Alzheimer’s disease through an interaction with the amyloidogenic Aβ-amyloid peptide . TTR has also been shown to influence nerve physiology and to enhance nerve regeneration in the mouse . A role for TTR in nerve biology and repair may explain the preferential deposition of mutant TTR aggregates in the peripheral nervous system of patients with TTR-FAP . Experiments with cell lines and Drosophila melanogaster model systems demonstrate the proteotoxicity associated with various TTR sequences linked to pathology [3, 34, 35, 36, 37, 38, 39]. Biophysical in vitro studies suggest that tetrameric TTR protein does not form amyloid fibrils and that amyloidogenesis starts with TTR tetramer dissociation into dimers, which then rapidly dissociate to folded monomers (Fig. 1a) [23, 40, 41, 42, 43, 44, 45]. Amyloid fibrillogenesis appears to require partial denaturation of released monomers, which exposes stretches of hydrophobic residues that misassemble into spherical aggregates which then undergo conformational conversion into cross-β sheet assemblies [46, 47, 48, 49]. In vitro, amyloid formation by TTR monomers proceeds in an energetically downhill polymerization process that is fast compared with the initial tetramer dissociation . Thus, tetramer dissociation is thought to be rate limiting for TTR amyloid formation in the case of the WT protein and most tetramers produced by heterozygotes comprising mutant and WT TTR subunits . Most amyloidogenic TTR variants form approximately 6% homotetramers and approximately 87% variant/WT heterotetramers with reduced kinetic or thermodynamic stabilities relative to WT homotetramers (approximately 6%), which renders them more prone to tetramer dissociation and amyloid formation [43, 45]. Oxidative modifications have also been found to energetically destabilize the tetrameric structure and to increase the amyloidogenic potential of TTR protein in vitro [51, 52]. Given the well-established increase in protein oxidation with ageing, this may contribute to senile forms of TTR amyloidosis . Increasing evidence indicates that proteolytic cleavage may also play a role in TTR amyloid formation. Analyses of ex vivo TTR amyloid fibrils have revealed that, in addition to full-length protein, amyloid deposits in patients with TTRwt amyloidosis contain a high proportion of C-terminal TTR fragments starting at amino acid residues 46, 49, 52, or 53 [53, 54, 55]. Similarly, in patients with hereditary TTR amyloidosis, amyloid fibrils with N-terminally truncated TTR were observed more frequently than amyloid fibrils containing predominantly full-length TTR protein [55, 56, 57]. Based on the small N-terminal cleavage products detected at very low amounts in amyloid fibrils, it has been speculated that proteolytic cleavage may occur prior to and play a role in fibrillogenesis [53, 54]. A recent study suggests that, at least for the Ser52Pro (p.Ser72Pro) variant, proteolytic cleavage of the Lys48–Thr49 peptide bond may indeed be a prefibrillar event in vivo which produces a C-terminal fragment that, once released from the TTR tetramer, is highly fibrillogenic at physiological pH in vitro . The hereditary TTR amyloidoses are rare, autosomal dominant diseases caused by point mutations in the TTR gene [27, 59, 60, 61, 62]. More than 100 destabilizing mutations of TTR have been identified . The propensity for a particular TTR mutant to undergo amyloidogenesis in vitro depends on the thermodynamic and kinetic destabilization of the tetramer caused by the substitution [23, 27, 42, 43, 44, 45]. However, the most amyloidogenic TTR mutants (e.g., Asp18Gly [p.Asp38Gly] and Ala25Thr [p.Ala45Thr]) do not cause the most severe, early-onset systemic amyloid disease because they are degraded by the quality control system located in the endoplasmic reticulum of liver cells [27, 45]. Thus, for these two mutants, the concentration of destabilized mutant TTR in blood is insufficient to result in systemic amyloidogenesis; however, late-onset central nervous system (CNS) pathology is observed [64, 65]. Although the main pathologic manifestation of hereditary TTR amyloidosis is a progressive ascending polyneuropathy and/or cardiomyopathy, mixed phenotypes, extreme phenotypic variability, and incomplete penetrance often obscure a proper diagnosis for physicians not considering TTR amyloidosis [62, 66, 67, 68, 69]. As a consequence, hereditary TTR amyloidosis is under-recognized and often misdiagnosed. Most known cases of TTR-FAP result from the Val30Met (p.Val50Met) mutation, which is particularly frequent in regions of Portugal, Japan, Sweden, and Brazil [68, 70]. Importantly, age at onset of symptoms and disease penetrance of the Val30Met mutation is very heterogeneous [70, 71, 72]. TTR-FAP is characterized by a length-dependent sensory, motor, and autonomic neuropathy . Gastrointestinal symptoms are a common complication of autonomic neuropathy. Amyloid deposits, typically found in ganglia, the endoneurium, and nerve blood vessels, lead to the reduction of nerve fiber density and eventual destruction of unmyelinated nerve fibers, and then small and large myelinated nerve fibers [68, 73]. Distal axonal degeneration is the main pathogenic feature. Possible underlying mechanisms that are not mutually exclusive include: (1) a combination of toxic and mechanical effects of fibrillar amyloid deposits on nerve fibers [68, 74]; and/or (2) the proteotoxicity of non-amyloid TTR aggregates [2, 3]. Clinical manifestations of cardiac involvement may follow later in the course of disease; however, echocardiography in patients with only neurologic symptoms may reveal features of cardiac amyloidosis and electrocardiography can reveal conduction defects early in the course of the condition [75, 76]. In some TTR mutants such as Thr60Ala (p.Thr80Ala), cardiac involvement may be seen early or as the first phenotypic manifestation , early and frequent carpal tunnel syndrome, predominant negative sensory symptoms at onset, significant vibration deficits, as well as a non-length-dependent progression of motor deficit are also characteristic ; while for patients with the Ser77Tyr mutation, the distinguishable features are late-onset (>50 years) of disease and frequent ataxic phenotype . Neurologic and cardiac deterioration progress relentlessly during active TTR amyloidogenesis, typically leading to death within 5–15 years of symptom onset . It is worth noting that for patients with the Val30Met mutation and whose disease onset occurs at an older age (>50 years), studies of the disease history revealed that the initial manifestation of amyloidosis was somatic neuropathy, and the mean duration of the disease onset to death was 7.3 years . However, for many late-onset cases, due to the inconspicuous nature of the symptoms (i.e., autonomic dysfunctions and sensory dissociation), they are often misdiagnosed as other neuropathies . In addition, distinctive clinical presentation has been found in late-onset cases with the Val30Met mutation from non-endemic areas that differs from that of conventional early-onset cases in endemic foci [79, 80]. Consequently, late-onset cases are still under-recognized and an appropriate diagnosis may benefit from examinations for subclinical cardiac amyloidosis. In the exclusive or predominant cardiac phenotype, known as hereditary TTR amyloid cardiomyopathy, amyloid is found throughout the cardiovascular system, including the valves, ventricles, atria, and the conduction system, leading to left ventricular wall thickening with a non-dilated left ventricle and impaired longitudinal contraction, and resulting in congestive heart failure and arrhythmias [67, 73, 81]. Survival data for hereditary TTR amyloid cardiomyopathy are not as well documented as for TTR-FAP, but the prognosis is known to be poor with median survival from diagnosis ranging from 25.6 to 36.4 months in three small series [82, 83, 84], and with death primarily from heart failure or sudden death . The most common mutation associated with TTR amyloid cardiomyopathy is Val122Ile (p.Val142Ile), which is found in up to 4% of African Americans [86, 87]. The level of penetrance of this mutation has yet to be fully elucidated ; 10% of Afro-Caribbean patients with acute decompensated heart failure carry the Val122Ile mutation . Other pathogenic TTR mutations are less prevalent, and often lead to a more ‘mixed’ phenotype of neurologic and multi-organ system involvement . In TTRwt amyloidosis, WT TTR tetramers dissociate into monomers, misfold, and undergo amyloidogenesis. Biopsies from gastrointestinal tract and subcutaneous tissue of TTRwt amyloidosis patients confirmed amyloid deposits in 44% (4/9) of the samples . At autopsy, up to 22–25% of individuals >80 years of age, and 32% of adults over the age of 75 with heart failure and a preserved ejection fraction, have demonstrable TTR amyloid deposits in cardiac tissue (mainly found inside the ventricular wall in a patchy plaque-like shape) albeit usually mild in extent [85, 89, 90]. The process is not well understood but seems to be related to ageing and possibly to destabilizing post-translational modifications. Cardiac amyloidosis is the primary feature of those exhibiting active TTRwt amyloidosis, generally a late-onset sporadic condition primarily affecting men . 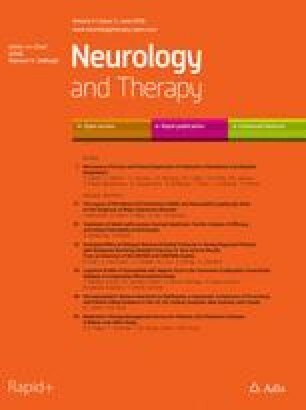 In two separate observational studies, the prevalence of sensory neuropathy among patients with symptomatic TTRwt amyloidosis was around 28% and nearly half had a history of carpal tunnel syndrome apparently owing to amyloid deposition in the connective tissue of the transverse carpal ligament [69, 84]. Three separate but reinforcing clinical observations suggested that molecules stabilizing the TTR tetramer may be effective in treating the TTR amyloidoses. First, in 1990, Holmgren et al. showed that it was possible to halt the progression of polyneuropathy in patients with TTR-FAP by orthotopic liver transplantation using donors carrying two WT TTR genes, which replaces mutant TTR with a native allele, affording a more stable and less amyloidogenic TTR tetramer. Second, a clinical observation showed that a domino recipient of a liver graft from a patient with Val30Met amyloidosis developed amyloidosis . Third, in the 1990s, it was observed that some Portuguese individuals with symptomatic TTR-FAP had uncharacteristically mild symptoms . Gene sequencing studies revealed that these individuals are compound heterozygotes harboring a Val30Met mutation on allele 1 and a Thr119Met (p.Thr139Met) mutation on allele 2, conferring protection against disease development . Incorporation of Thr119Met subunits into tetramers containing disease-associated subunits increases the kinetic stability of the tetramer, slowing tetramer dissociation and suppressing disease [42, 44, 93, 94]. Binding of either T4 or holo-retinol-binding protein stabilizes the TTR tetramer, preventing its dissociation into amyloidogenic monomers [95, 96]. Notably, approximately half of TTR circulating in blood lacks a bound ligand. These observations provided a strong rationale to develop small molecule ligands that bind to the largely unoccupied T4 binding pockets and stabilize the native TTR tetramer as a potential pharmacotherapy to prevent TTR amyloidogenesis . Numerous, structurally distinct, small molecules that bind to the T4 binding sites were found to inhibit amyloid fibril formation in vitro, by kinetically stabilizing the quaternary structure of the TTR tetramer [13, 23, 44]. These TTR kinetic stabilizers included certain non-steroidal anti-inflammatory drugs (NSAIDs) such as diflunisal [23, 97, 98]. However, since NSAIDs are associated with gastrointestinal, renal, and cardiac side effects , attention turned to the benzoxazole carboxylic acids. Of these, tafamidis (Fig. 1b, c) was selected for clinical development due to its lack of NSAID-activity, good oral bioavailability, and low toxicity profile. Tafamidis is highly bound to plasma proteins (binding rate >99.5%) with glucuronidation as the major metabolic pathway, and the major circulating form in plasma is parent compound. In healthy volunteers, tafamidis was rapidly absorbed after a single oral dose of 20 mg. The median time (T max) to reach the maximum concentration (C max) was approximately 2.0 h. Administration of tafamidis with food reduces the rate of absorption, but overall extent of absorption is not affected. Pharmacokinetic (PK) parameters were similar after single and repeated dosing, indicating a lack of metabolic induction or inhibition by tafamidis. Elimination of tafamidis is slow, with a mean half-life of approximately 59 h. Steady state (SS) was achieved by day 14 after once-daily dosing with 20 mg tafamidis for 14 days, with C max(ss) and C min(ss) at 2.7 and 1.6 μg/mL, respectively (Table 1) [100, 101]. Based on population PK analysis, SS clearance of tafamidis was similar in subjects with creatinine clearance <80 and >80 mL/min. However, compared with healthy volunteers, patients with moderate hepatic impairment (Child–Pugh Score of 7–9 inclusive) had decreased systemic exposure (by approximately 40%) of tafamidis. In subjects >60 years old, clearance following repeated tafamidis 20 mg once daily was 19% slower and the C max(ss) was 21% higher compared with those <60 years old . Nonclinical in vitro and ex vivo experiments have demonstrated that tafamidis binds with selectivity, high affinity, and negative cooperativity (K D1 ~ 2 nM, K D2 ~ 200 nM) to recombinant WT TTR and to TTR in human plasma [5, 102]. Tafamidis exhibits comparable potency against dissociation of WT TTR and heterotetramers of >35 TTR mutants, including the two most common amyloidogenic mutants, Val30Met and Val122Ile . As stated in previous publications [5, 102], an indirect means of detecting TTR monomer formation under physiologic conditions is to employ subunit exchange experiments [42, 103, 104], in which, two homotetramers composed of WT TTR subunits with and without the N-terminal negatively charged FLAG-tag were mixed, and time-dependent subunit exchange was then quantified using ion-exchange chromatography at physiologic pH. Since TTR tetramer dissociation should be slowed by tafamidis, the subunit exchange between the untagged WT TTR homotetramer and the FLAG-tagged WT TTR homotetramer would be slowed in the presence of tafamidis. Experiments showed that subunit exchange was complete in the vehicle control after 96 h of incubation at 25°C when the pH was 7.0; while in the presence of tafamidis, the fraction of subunit exchange was considerably lower. For instance, at a tafamidis:TTR tetramer molar ratio of 1, the subunit exchange was 15% after 24 h compared with 70% in the absence of tafamidis; and when the molar ratio was 1.50, the fraction of exchange was <10% after 11 days . Based on these findings, it has been concluded that tafamidis decreases the rate of tetramer dissociation at physiologic pH in a dose-dependent manner. where FOI (fraction of initial) is the percentage decrease in TTR immunoturbidity of the plasma samples after 48-h incubation with urea, FOI baseline shows tetramer dissociation at baseline while FOI dosed shows tetramer dissociation after tafamidis dosing. After assessment of random variation in TTR stabilization in placebo-treated healthy volunteers, a cut-off value of 32% was chosen, above which TTR tetramers are considered to have been stabilized by tafamidis. Nonclinical studies suggested that a 1–1.5:1 tafamidis:TTR stoichiometry should be sufficient to stabilize TTR and inhibit tetramer dissociation in human plasma (Pfizer, data on file). In two clinical studies of healthy volunteers with orally administered tafamidis, mean percent TTR stabilization increased with increasing plasma tafamidis:TTR stoichiometry and appeared to reach a plateau (Fig. 2), but at ratios higher than projected from nonclinical data. An ex vivo study on plasma samples from 28 patients with TTR amyloidosis showed that tafamidis can increase the stability of the native tetrameric structure of multiple amyloidogenic TTR variants. Eligible subjects had been diagnosed with TTR amyloidosis and had a documented non-Val30Met, non-Val122Ile TTR mutation, and study protocol and informed consent documentation were approved by the relevant institutional review boards. The stability of tetrameric TTR in the plasma samples [TTR baseline concentration range 4.2–29.6 mg/dL (0.76–5.38 µM)] was compared in the presence or absence of 7.2 µM tafamidis, using the immunoturbidimetric assay. Tafamidis increased the stability of the TTR tetramer in 26 of 27 TTR mutants (Table 2) . One mutant (Pro24Ser) demonstrated equivocal results in vitro. TTR stabilization was also found in patients with TTRwt amyloidosis who were treated with tafamidis (20 mg orally, once daily). Compared with the untreated TTRwt amyloidosis patients and untreated age-matched controls, those treated with tafamidis showed a >73% decrease in the tetramer dissociation rate, and the rate of tetramer dissociation (as measured by subunit exchange) correlated strongly with tafamidis concentration in the plasma (R 2 = 0.929) . Evidence showed that tafamidis binds and stabilizes the functional TTR protein (i.e., the tetrameric form) and the stabilized tetramers are less likely to dissociate into monomers; however, the relationship between increased TTR stabilization and the increase in concentration of circulating functional TTR requires further investigation [7, 8, 102]. The pivotal Fx-005 study, a randomized, placebo-controlled, 18-month trial in 128 patients with early-stage Val30Met-FAP, showed that tafamidis successfully increased TTR tetramer stability in 98% of the tafamidis group throughout the 18-month treatment period and this increase in TTR stability was associated with a reduction in neurologic deterioration, preservation of nerve function (large and small fibers), improved nutritional status, and maintained quality of life after 18 months compared with placebo group (Fig. 3) . In Study Fx-006, a 12-month, open-label extension study to Study Fx-005, where 86 of the 91 patients who had completed the Month 18 visit of Fx-005 either continued to receive tafamidis (tafamidis–tafamidis) or were switched to tafamidis (placebo–tafamidis) for 12 months, tafamidis conferred increased TTR tetramer stability in >93% of participants. Moreover, the observed slowing of disease progression among the tafamidis-treated patients of Fx-005 was extended to 30 months in the tafamidis–tafamidis cohort and the rate of disease progression was reduced in the placebo–tafamidis group over the 12-month active treatment period (Fig. 4) . Fx1A-201, a Phase 2, open-label study in 21 patients with TTR-FAP due to eight different non-Val30Met TTR mutations, demonstrated general tolerability and efficacy of tafamidis on TTR tetramer stability in >94% of the polyneuropathy patients with other TTR genotypes. These patients were older, had longer disease duration, and more severe disease—frequently including cardiac abnormalities—at baseline than the Fx-005 population . Fx1B-201, a Phase 2, open-label, 12-month study (ClinicalTrials.gov identifier, NCT00694161), found that tafamidis was associated with an acceptable safety profile and successfully increased the kinetic stability of TTR tetramers in the vast majority (96.8%) of 35 patients with Val122Ile or TTRwt amyloidosis . Patients in these trials had variable characteristics and severity of symptoms at baseline. Therefore, the differences observed in clinical efficacy and safety across these trials may be confounded by the patients’ underlying disease and comorbid conditions. The risk of adverse events (AEs) is difficult to evaluate based on the small number of patients who received tafamidis to date. The available clinical trial data indicate that tafamidis was generally well tolerated, with the type and frequency of the most commonly reported AEs partly dependent on the primary phenotype and clinical status of the patient in addition to any drug effects. Many of the AEs with an overall incidence >5% are of a similar nature as the symptoms of the underlying disease. In the Fx-005 study of patients with early-stage Val30Met-FAP, the overall incidences of any AE, AE leading to drug discontinuation, and serious AEs were similar in the tafamidis and placebo treatment groups . Furthermore, the overall incidence rates of AEs among the polyneuropathy patients in studies Fx-005, Fx-006, and Fx1A-201 were similar [7, 8, 106]. Differences in incidence rates of individual AEs across these studies were generally not clinically meaningful. One exception was treatment-emergent urinary tract infection (UTI): 15 of 65 tafamidis-treated patients (23%) in Fx-005 reported a UTI compared with 8 of 63 placebo-treated patients (13%) . UTIs were also reported by 12 of 85 tafamidis-treated patients (14%) in Fx-006 , and by 3 of 35 patients (9%) in Fx1B-201 . In contrast, none of the 21 patients who received tafamidis in the open-label Fx1A-201 study developed a UTI . Additionally, a higher incidence of diarrhea was reported in the tafamidis group than in the placebo group in the pivotal Fx-005 study (17 of 65 [26.2%] vs. 11 of 63 [17.5%]) . Diarrhea events were also reported by 7 of 85 patients (8.2%) in Fx-006 , by 5 of 21 patients (23.8%) in Fx1A-201 , and by 7 of 35 patients (20.0%) in Fx1B-201 . Also of note was the incidence of patients experiencing a fall in Fx-005 (0 of 65 tafamidis-treated patients vs. 1 of 63 placebo-treated patients), Fx-006 (2 of 85 patients), Fx1A-201 (5 of 21 patients), and Fx1B-201 (3 of 35 patients). In the Fx1B-201 study of TTR amyloid cardiomyopathy, 15 of 35 patients had a serious AE, the most common being cardiac disorders (12 patients) including heart failure (9 patients) and atrial fibrillation (3 patients) . Four patients reported six SAEs that were considered possibly related to tafamidis, namely, syncope, ataxia, falls (reported by two patients), hemorrhagic stroke, and cardiac heart failure . In the Fx-005 study, five Val30Met-FAP patients (two receiving tafamidis, three receiving placebo) died, all after liver transplant . These deaths were considered unrelated to the study drug. No deaths were reported in Fx-006 or Fx1A-201 [8, 106]. Two TTRwt amyloidosis patients died during the Fx1B-201 study (causes of death were hemorrhagic stroke and amyloid light-chain [AL] amyloidosis) . These deaths were considered unrelated to the study drug. The patient with AL amyloidosis had been enrolled in the study based on positive amyloid biopsy, absence of evidence of a plasma cell dyscrasia, and positive TTR staining by immunogold electron microscopy. After an unexplained, rapid decline at 11 months, a re-biopsy demonstrated amyloid positive for immunoglobulin light chain and no evidence of TTR deposition, after which the patient withdrew from the study, and died from complications due to pleurodesis treatment for AL amyloidosis. Subsequent re-evaluation of the biopsies using mass spectrometry demonstrated that both had amyloid deposits derived from light chains, without evidence of TTR. The nonclinical and clinical studies described here demonstrate that tafamidis kinetically stabilizes TTR tetramers thereby slowing TTR tetramer dissociation. TTR tetramer disassembly is the rate-limiting step of amyloidogenesis and its inhibition is expected to inhibit the amyloidogenesis cascade and, in turn, to slow disease progression. Strong evidence for this concept was that tafamidis treatment slowed neurologic disease progression in patients with Val30Met amyloidosis compared with placebo , and by the fact that modest deterioration in neurologic function was observed in patients with TTR-FAP caused by non-Val30Met mutations and who were treated with tafamidis . Tafamidis increases the kinetic stability of a large number of TTR variants, as well as for TTRwt, suggesting that the tetramer stabilization effect may extend to many of the >100 TTR genotypes associated with amyloidosis. Furthermore, tafamidis proved effective in stabilizing TTR throughout the treatment period in a number of study populations, differing in severity of disease, phenotype(s), and TTR genotype. While TTR tetramer stabilization along with patient- and disease-related factors may predict clinical response, placebo data in Val30Met-FAP patients suggest that lack of TTR tetramer stabilization predicts clinical nonresponse. In patients with early-stage Val30Met amyloidosis who were treated with tafamidis, the rate of neurologic deterioration was slowed, quality of life was maintained, and nutritional status was improved, compared with placebo-treated patients [7, 108]; and TTR stabilization was associated with slower disease progression . There was also some indication that 12 months of open-label tafamidis might improve some signs and symptoms of TTR-FAP associated with non-Val30Met mutations in older patients with more advanced disease . Considering the mechanism of action and the available results on TTR stabilization, the tafamidis effect on disease progression is expected to extend to TTR amyloid polyneuropathy due to non-Val30Met mutations . Long-term study demonstrated that the clinical benefits experienced by Val30Met-FAP patients receiving tafamidis were sustained for the duration of the study (30 months for Study Fx-006) . Furthermore, there was an advantage of initiating treatment earlier, or at an earlier stage of disease, although those starting treatment later still experienced patterns of slowed disease progression , suggesting that earlier initiation of tafamidis therapy may result in improved clinical outcomes. These results underscore the need to identify subjects early and treat Val30Met-FAP soon after the diagnosis is made. Moreover, the summary of product characteristics in Europe states: “Treatment should be initiated by and remain under the supervision of a physician knowledgeable in the management of patients with transthyretin amyloid polyneuropathy” . Noticeably, across the different groups of tafamidis-treated patients with TTR amyloidosis, including those with cardiomyopathy and a small number of patients with renal impairment, the AEs (e.g., UTI, respiratory infections, diarrhea, headache, pain, and vomiting) were generally mild to moderate in severity, with no major safety concerns identified [7, 8, 106, 107]. Overall, tafamidis 20 mg once daily is safe and well tolerated. In cardiomyopathy patients receiving open-label tafamidis, measures of disease progression did not deteriorate markedly during 12 months  warranting further evaluation of tafamidis in TTR amyloid cardiomyopathy. In addition, it has been reported that increasing the dose of tafamidis appears to be safe [109, 110]. Currently, a multicenter, double-blind, placebo-controlled, randomized, Phase 3 study is being conducted (ClinicalTrials.gov identifier, NCT01994889) to investigate the efficacy, safety, and tolerability of tafamidis 20 or 80 mg once daily for patients with TTR cardiomyopathy. While tafamidis treatment may present benefits to patients with polyneuropathy or cardiomyopathy, it is unlikely that CNS manifestations of TTR amyloidosis, such as leptomeningeal or ocular amyloidosis, would be effectively treated with oral tafamidis therapy, as the drug does not penetrate extensively into the brain or eye in rats. Rather, tafamidis accumulates preferentially in the bloodstream and in the liver, which is the primary source of mutant TTR. Tafamidis is the only currently approved pharmacotherapy for the treatment of early-stage TTR-FAP, with ongoing clinical investigation for TTR-FAC. The favorable tolerability profile and suitability for long-term use, further underscore its benefits in patients with TTR amyloidosis. Diagnosing patients as early as possible for the initiation of tafamidis therapy before substantial accumulation of amyloid in the nerves and organs is of paramount importance. Following regulatory approvals in the European Union and several countries in Latin America and the Asia-Pacific, tafamidis has emerged as a new standard of care for patients with TTR-FAP. Prior to tafamidis, the only disease-modifying treatment available for TTR amyloidosis was liver transplantation [111, 112, 113, 114, 115, 116, 117]. However, liver transplantation is an invasive procedure requiring lifelong immunosuppressive therapy and has limited applicability to a carefully selected cohort of primarily Val30Met patients (non-elderly) with early-stage disease, and good nutritional status [111, 117, 118, 119]. Tafamidis is a well-tolerated and efficacious pharmacotherapy for the treatment of early-stage TTR-FAP. It effectively stabilizes TTR across a number of amyloidogenic TTR genotypes, including WT TTR, and slows disease progression. In patients with early-stage Val30Met amyloid polyneuropathy, tafamidis delayed neurological deterioration, preserved nutritional status and quality of life. A Phase 3, randomized, placebo-controlled trial (ClinicalTrials.gov identifier, NCT01994889) is currently underway to investigate the efficacy, safety, and tolerability of tafamidis in patients with TTR amyloid cardiomyopathy. The long-term efficacy and safety of tafamidis for periods up to 5–8 years appears favorable, based on extension studies from the tafamidis clinical trial program and real-world experience in hundreds of patients to date. Editorial support for the development of this manuscript was provided by Malcolm Darkes and Dave Cornick of Engage Scientific Solutions and was funded by Pfizer. The article processing charges for this publication were funded by Pfizer. All named authors meet the International Committee of Medical Journal Editors (ICMJE) criteria for authorship for this manuscript, take responsibility for the integrity of the work as a whole, and have given final approval for the version to be published. Dr. Coelho’s institution received support from FoldRx Pharmaceuticals, which was acquired by Pfizer Inc. in October 2010; she has served on the speakers bureau of Pfizer Inc. and received funding from Pfizer Inc. for scientific meeting expenses (travel, accommodation, and registration), and currently serves on the scientific advisory board of THAOS (natural history disease registry) without any financial compensation. Dr. Merlini received speaker honoraria from Pfizer Inc. Dr. Bulawa was a full-time employee of FoldRx Pharmaceuticals, which was acquired by Pfizer Inc. in October 2010, and is now an employee of Pfizer Inc. Dr. Fleming was a full-time employee of FoldRx Pharmaceuticals, which was acquired by Pfizer Inc. in October 2010, and is now an employee of Pfizer Inc. Dr. Judge received support from FoldRx Pharmaceuticals, which was acquired by Pfizer Inc. in October 2010, as principal investigator and served as a member of the Global Commercial Advisory Board at the London Vyndaqel meeting 18–19 October 2012. Dr. Kelly is a founder, shareholder (and option holder), and paid consultant for FoldRx Pharmaceuticals, which was acquired by Pfizer Inc. in October 2010. Dr. Maurer has received support from FoldRx Pharmaceuticals, which was acquired by Pfizer Inc. in October 2010, as a clinical investigator and for scientific meeting expenses. His institution has received grant support from Pfizer Inc. Dr. Planté-Bordeneuve received support from FoldRx Pharmaceuticals, which was acquired by Pfizer Inc. in October 2010, as a clinical investigator, and serves on the scientific advisory board of THAOS (natural history disease registry) but did not receive compensation for her involvement with this study. Dr. Labaudinière, as former chief executive officer, is an option holder of FoldRx Pharmaceuticals, which was acquired by Pfizer Inc. in October 2010. Mr. Mundayat is an employee of Pfizer Inc. Dr. Riley is an employee of Pfizer Inc. Dr. Lombardo is a former employee of Pfizer Inc. Dr. Huertas is a former employee of Pfizer Inc. This article is based on previously conducted studies and does not involve any new studies of human or animal subjects performed by any of the authors. Coelho T, Ericzon BG, Falk RH, Grogan DR, Ikeda S, Maurer M, Planté-Bordeneuve V, Suhr O, Trigo P (2008) A Physician’s Guide to Transthyretin Amyloidosis. Amyloidosis Foundation. http://www.amyloidosis.org/pdf/TTR%2008.pdf. Accessed 2 April 2013. European Medicines Agency. Vyndaqel 20 mg soft capsules. Summary of product characteristics. 2011 http://www.ema.europa.eu/docs/en_GB/document_library/EPAR_-_Product_Information/human/002294/WC500117862.pdf. Accessed 18 Nov 2014.